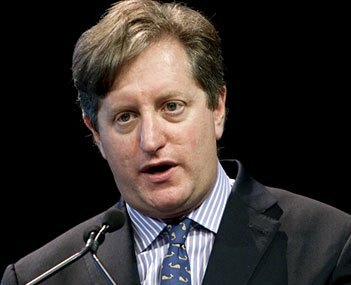 That phenomenon is a real concern across the breadth and scope of the Canadian market, suggested Steve Eisman, who also identified Home Capital Group, a mortgage provider that trades in Canada, as a “short sell” at the 18th Sohn Investment Conference in New York recently. “If housing rolls over, this company is going to have serious problems,” he told Barron’s Financial Investment News. Eisman, the founder of Emrys Partners LP and currently the money manager with FrontPoint Partners, a division of Morgan Stanley, estimated the domestic funding gap for the big six Canadian banks at around $427 billion. That seems far from the truth currently. Home Capital Group posted a strong Q1 with diluted earnings per share up 13.2 per cent year over year to $1.72, and adjusted diluted earnings per share up 19.1 per cent year over year to $1.81. Home Capital Group is a holding company that operates through its principal subsidiary, Home Trust. As federally regulated trust company, Home Trust offers deposit, mortgage lending, retail credit and credit card issuing services, with offices in Ontario, Alberta, British Columbia, Quebec and Nova Scotia. The company has also been touted for its sound lending practices and the strength of its book. While Eisman has reservations about the Canadian market, he’s bullish on U.S. housing. He said investors should buy shares of homebuilders, land and mortgage lenders as the U.S. market improves.